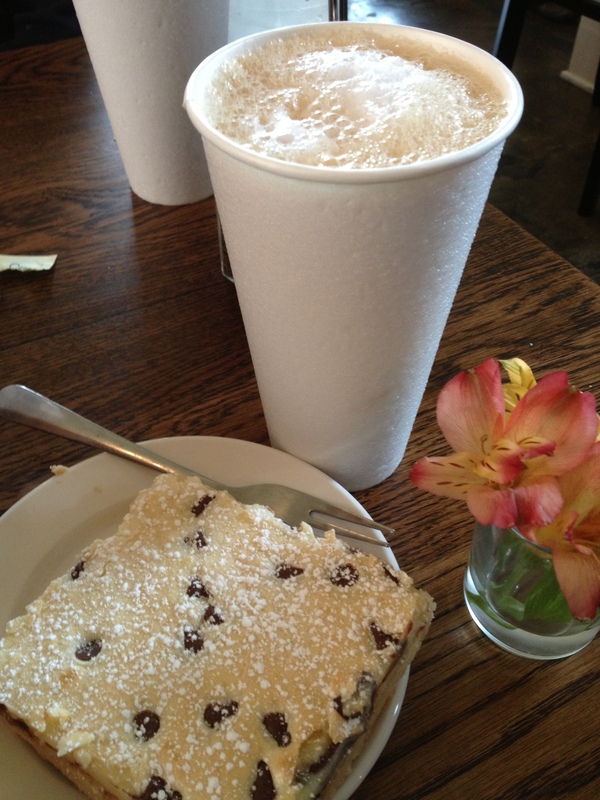 A cozy space tucked away in the Macklind neighborhood of South City that offers fantastic from scratch eats. 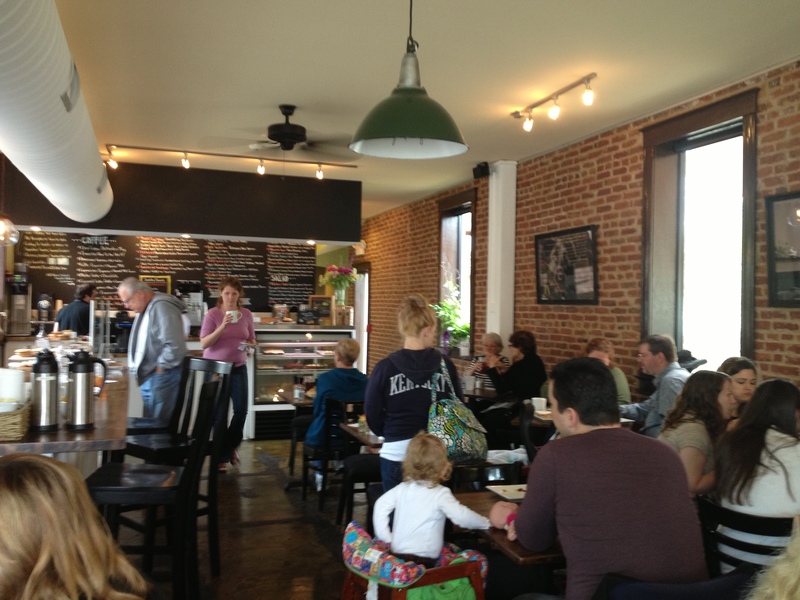 Russell’s is on trend in a restored and modern corner building with indoor and outdoor seating. Mainly a breakfast and lunch hangout, and still offers after work option for drinks and treats. The staff is always welcoming. 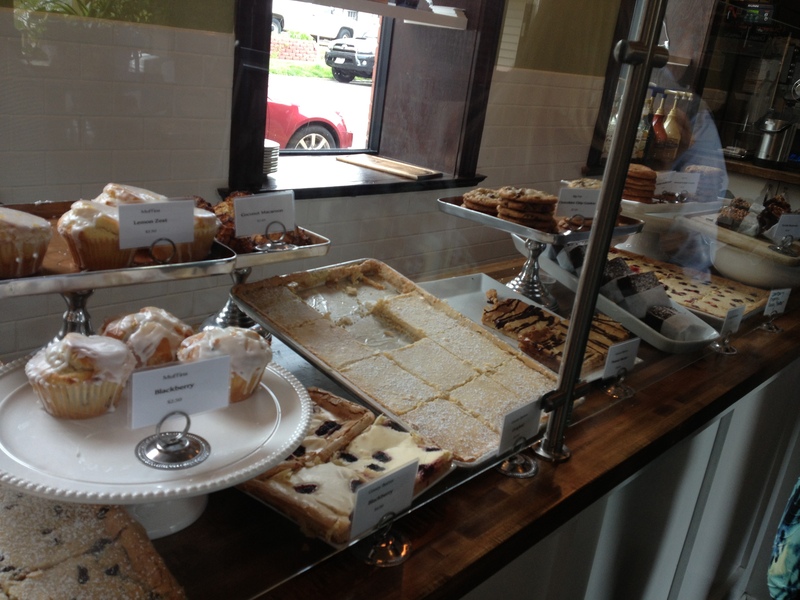 Fresh pastries, muffins, scones and quiches to start your day. Gourmet salads, soups, sandwiches (hot and cold) to get you through the afternoon. Wines, beers, cookies and cakes to round out your evening. You can’t leave without a big ‘ole slice of St. Louis style gooey butter cake; check out the menu for all of their gooey butter flavor choices. Amazing! What a great way to go, getting 1/2 this and 1/2 that so that I didn’t “half” to make too much of a choice. Hah. The farmer’s stand salad was extremely light and refreshing. 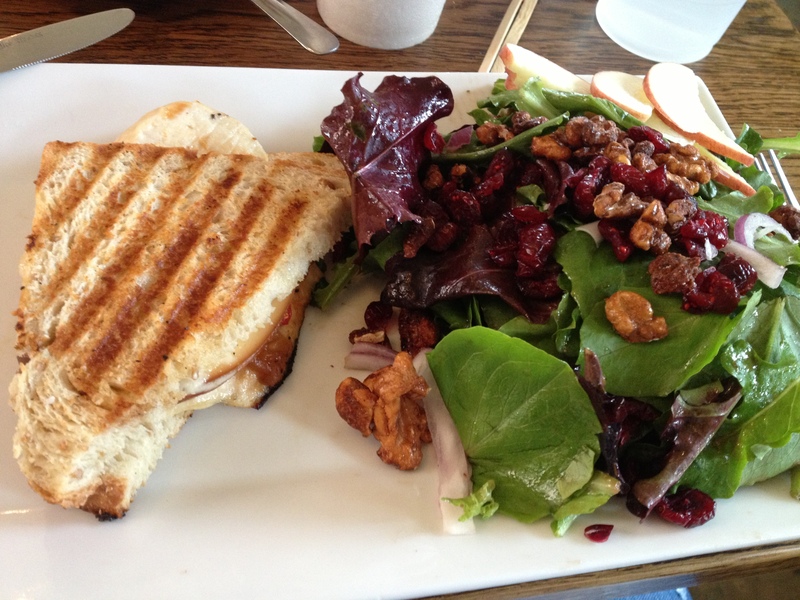 The sandwich had a lovely melody of flavors. Ambrosial!! Melt in your mouth perfection. The chocolate chips put this desert over the edge!! The Happy Edge to be precise.